Want to run your own volleyball club? Start by making a basic business plan. Sure, your end goal isn’t to make big money. Like most club directors, you’re probably doing it for the love of the game and a passion for helping kids, and it won’t even be your full-time job at first. But that doesn’t matter — without a great plan that takes a hard look at the numbers, you’re likely to LOSE money or see your club dissolve. You can make a basic business plan for your dream volleyball club without spending days on detailed financial forecasts. Here’s how. Before You Start – Is This Really What you Want? Before you invest any energy or money into a club, make sure you understand this: Running a volleyball club requires a lot of work that has little to do with volleyball. Court scheduling, managing parent relationships, budgeting, and dozens of other tasks (see this JVA year-round task list organized by month for examples) will take up hours and hours of your time. Unless you’re at least a little business-minded and are ready to put in plenty of work behind the scenes, you might be better off sticking to coaching. However, if you’re ready to step into the leadership role and the challenges and rewards that come with it, read on. In the business world, every new company needs a “unique value proposition” — a concise description of how you’ll meet the needs of your customers (in this case, your players) in a way your competitors can’t. This value proposition will be the foundation of your club’s identity. You might think your value proposition is as simple as “providing excellent youth volleyball training in the X geographic area.” However, try to take it a step further to meet the underlying goals of your players and their families. Is their end goal to help players get to the college level, like eSoft Planner client Momentum Volleyball Club, for example? Consider what makes you the best person to lead a club that delivers the service you hope to provide. If you can’t clearly define how your club can uniquely serve your players, you need to figure it out before you move forward. If do plan to buy, lease or build your own volleyball facility, you’ll have many other options for services, such as court rentals for local school teams, subleases of facility space, recreational volleyball leagues for adults, and even partnerships with other sports clubs who might be able to use your space for practice when you don’t need it. For now, we’ll skip the upfront costs, which will be much more significant if you want to purchase property, and focus on the ongoing monthly numbers. 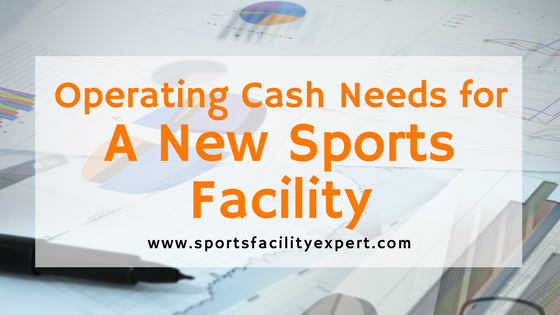 Space – You’ll pay court rental fees for team practices or a monthly mortgage or rent fee for your facility. If you are responsible for an entire facility, you’ll have many more costs to consider, including heating, cooling, security, cleaning, maintenance, repairs, and taxes. Equipment – List price estimates for all the equipment you’ll need, including balls, uniforms, training equipment, etc. Staff – Who will help you run the club, and how much will you pay them? You don’t need to name specific people at this point, but list the minimum positions that need to be filled, such as coaches, assistant coaches, a financial director, and what you’ll pay yourself as club director. Marketing – The monthly costs for your website, email marketing system and scheduling software should be listed here, as well as any costs you plan to incur for ads, branded apparel, or paid time spent executing marketing strategy. To determine your full marketing expenses, you may want to create a 12-month-marketing plan based on the services you listed in step 2. Other expenses – You’ll need to pay league and tournament fees and account for travel expenses if you’ll be traveling. There are also membership fees to governing organizations, and fees for accounting, legal and insurance. Look into these and get estimates for all of them. Based on these numbers, you can start to figure out whether you can break even. First, guess how much revenue you’ll get per month based on the services you listed in step 2. Be conservative. Then, total up your operating costs and see if the projected revenue will cover them month to month. I suggest aiming for a 30% profit margin: Divide the total expected profit by the total expected revenue to get that figure. It may be necessary to find the profitability of each individual service so you can improve any problem areas. This is especially important if your costs will vary a lot per service — for example, if you’ll be paying hourly for staff and space. Certain services may require a lot more marketing efforts, for example, or just might cost more to run. If your profit margin drops below 30% consistently, it’s time to lower the operating costs or tinker with pricing or services improve profitability. This might mean small changes like offering more or fewer teams, making the teams larger or smaller, or adjusting your calendar or tournament schedule to save money. It might also mean bigger changes like choosing not to hire a full-time staff or commit to leasing an entire facility. Finally, consider your cash flow. Your annual revenue might well surpass your expenses, but that doesn’t matter if all your bills will all be due before you can collect your money. (This is where upfront payment practices are so important). Ideally you’d collect team fees at the beginning of the year based on your projected expenses and use them to pay your fees and staff throughout. However, if you’ll be offering a variety of services and will be trying to cover the large overhead costs involved with having your own space, it gets more complicated. I hope this is a good starting point for your quest to start your own volleyball club. If you have other questions, feel free to contact me directly.